Franklin, 1 @ Xaverian, 0 – Final – Franklin scored the game-winning goal midway through the second half to earn its second win over Xaverian this season. Senior Ethan Bowen converted a pass from junior Lucas Moura in the 60th minute to help the Panthers grab two points. Sharon, 1 vs. Wellesley, 2 – Final – Sharon’s Daniel Lilienfeld put the hosts up midway through the second half but Wellesley scored two goals in the final five minutes to steal the win. Ethan Kantor had a strong game in net for the Eagles. Milford, 3 vs. Blackstone Valley, 0 – Final Milford built a 2-0 advantage by halftime and added an insurance tally in the second half to beat Blackstone Valley. Lucas Da Silva put the hosts up 1-0 off an assist from Tiago Carvalho. The Hawks doubled the lead late in the second half when Leo Coelho set up Joao Vitor. Walisson de Oliveira converted a penalty kick in the second half to cap the scoring. Tiago Filadelfo and Zach Browne had strong games on defense for Milford. Foxboro, 2 vs. Walpole, 0 – Final – Foxboro scored a goal in each half and used a staunch defensive effort to beat Walpole and stay unbeaten on the season. 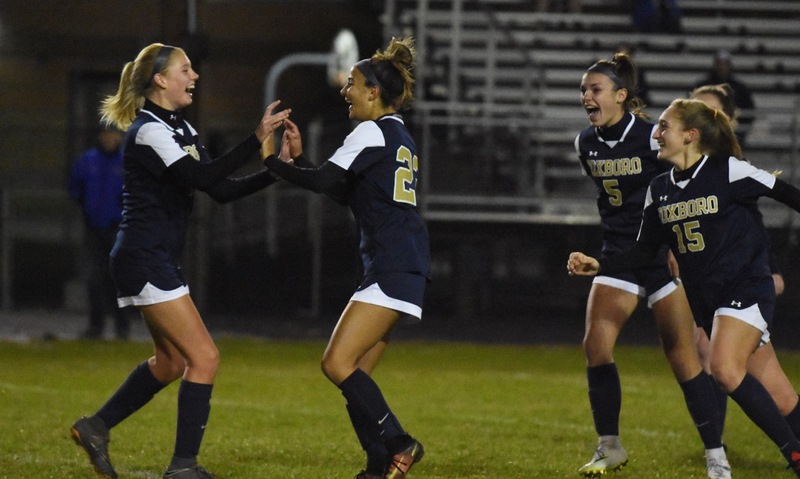 Lizzy Davis opened the scoring off a cross from Jordyn Collins in the first half, and Kenzi Fraser scored a late unassisted goal to seal the victory. Alex Stamatos had a standout game, anchoring a strong defensive performance from the Warriors. Milford, 1 @ North Attleboro, 3 – Final – North Attleboro held off a “spirited” Milford team to win a game that tight throughout. Ashlyn Gaulin scored the opener on an “olimpico” 10 minutes into the game and then assisted on a Kayla Pasquel goal three minutes later, doubling North’s lead. 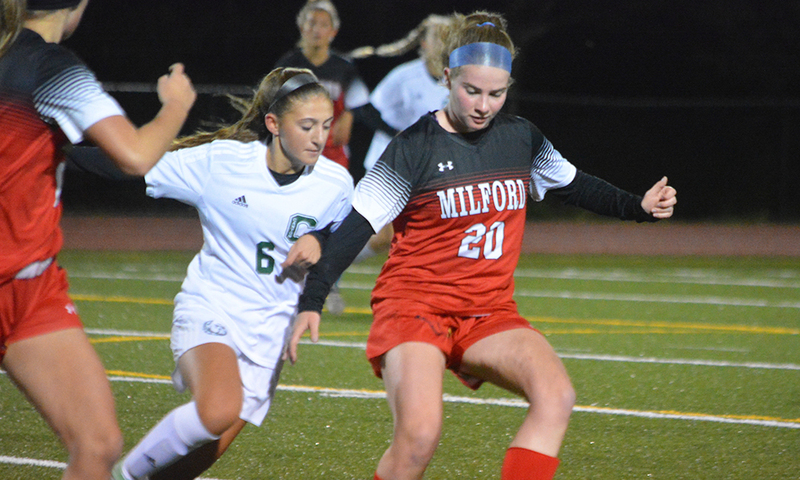 Milford cut the lead back to one in the second half, but the Rocketeers secured the two points when Lydia Santos headed in an Alex Moulson free kick with three minutes left to play. North coach Bill Wallace said that Emma Gaulin had a strong game in midfield. Stoughton, 191 @ King Philip, 166 – Final – King Philip’s Kayla Schuberth earned match medalist honors as the Warriors fended off the visiting Black Knights. Schuberth carded a match-low round of 39, Nate Ihley and Jared Curran each shot 42 and Raymond Mullin shot 43. Luke Bainton led Stoughton with a team-low round of 43. 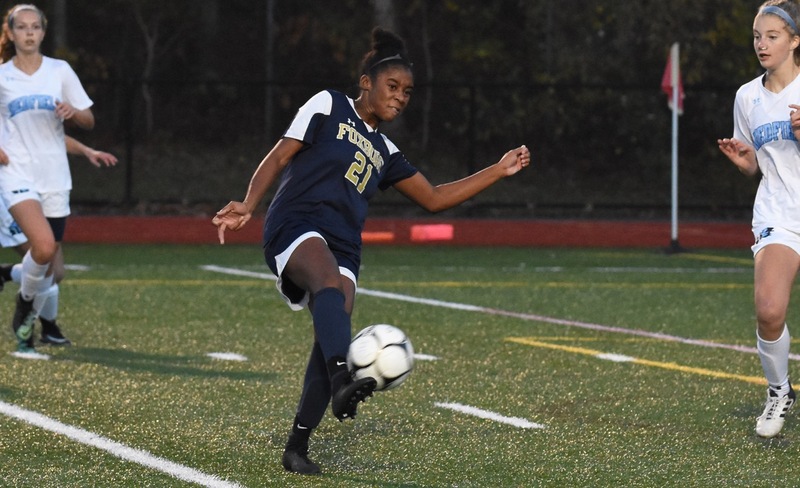 Franklin had a rough 2017, dealing with a number of injuries over the course of the season, but the Panthers got a lot of experience for younger players and several players showed that they are capable of stepping up to the challenge of playing in the Hock. One of those was Balkus, who emerged as a threat up top, while also being able to drop back into midfield and act as a playmaker. Her versatility gives the Panthers options and flexibility in terms of formations and being able to match up with opponents. Balkus has speed to run at defenders, vision to pick out the right passes, and isn’t afraid to get stuck into a challenge and defend from the front. The Panthers will be counting on Balkus to create scoring chances and help them make a move back up the league standings. Milford is one of several teams that comes into a new season hoping that a young roster will improve after gaining experience last year and new coach Lou Colabello will be counting on France to provide leadership and drive the Hawks forward from her midfield position. France is an energetic player who covers a lot of ground in the center of the pitch and provides a physical presence because she can get stuck into challenges to break up opposing attacks. A league all-star last season, France is also capable of picking out a pass to get Milford into the attack and sparking the Hawks in transition. She can also provide a threat from set pieces. The Hawks will have a new system this season and France will be a key piece of the midfield setup. If North Attleboro is going to three-peat as Davenport division champion and make a run in the state tournament, the Rocketeers are going to need another stellar season from Gaulin. The senior forward is coming off team-highs in goals (18), assists (11), and points (29) and was third-best in the league in scoring last fall. A speedy and skillful player, Gaulin is a terror for defenses running from her wide forward position and can also slot into the center forward position and create for her teammates. With the graduation of 100-point scorer Haley Guertin, North is going to look to Gaulin for even more creativity this season and she will have to be ready for increased attention from opposing defenses. 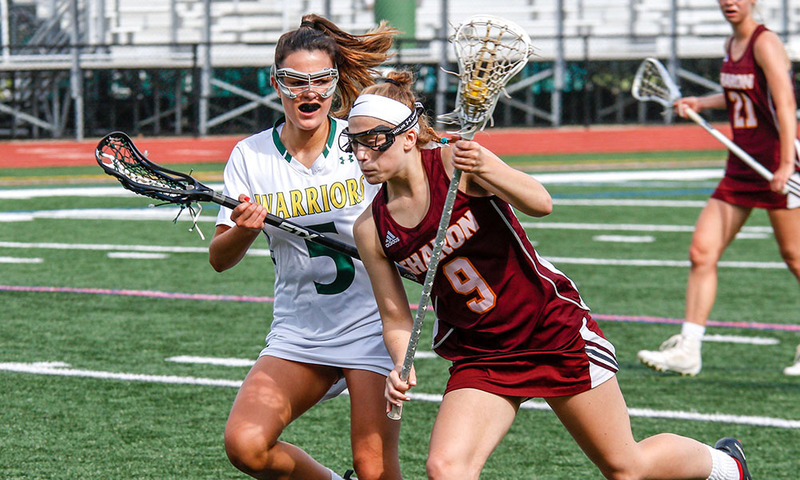 Layne leads the line for the league’s most dynamic offense and she exploded last spring with 28 goals and 13 assists, which were both second only to classmate Avery Snead on the team and in the Hock. With Layne firing in goals and finding openings for teammates, the Warriors ended a 15-year wait by winning the Kelley-Rex division title and claimed the Div. 1 South crown as well. The University of Hartford-commit, who is the reigning HockomockSports.com Underclassman of the Year, is one of the most talented players in the league with the ball at her feet and she can make even the best defenders look silly, as she gets into the box or creates a killer pass for a teammate. The developing partnership between Layne and Snead has KP ready for another big season. One of the league’s top box-to-box midfielders, Reef has been one of the catalysts for Mansfield winning back-to-back Kelley-Rex division titles and this year the Hornets will be relying on the University of Massachusetts-commit to add tournament success to their strong regular season showings. Reef sits in front of the Mansfield defense and covers a lot of ground breaking up opposition attacks or marking the opposition’s top midfield creator. She can also push into the attack and her ability to pick out the right pass sparks the Hornets’ impressive transitions. Mansfield coach Kevin Smith called Reef the team’s “engine” and she will be expected to again get the Hornets in gear as they make a run at a three-peat. Rodman made her debut for the Bulldogs last fall and had an instant impact on the Davenport division runners-up, showcasing her speed and skill on the left wing to put opposing defenders on their heels. Rodman led the team with 14 goals and seven assists and her partnership with fellow rookie Elisa Diletizia helped Canton put together the league’s fifth best attacking unit in 2017. With a season of varsity experience under her belt, Rodman should be even more comfortable with the league’s physical play and opponents will be wary of giving her any room to maneuver, especially in transition where Canton is particularly dangerous. The Bulldogs have come close to a league title in recent seasons and with Rodman leading the line, the potential is there for a big fall. Going into last season. Attleboro coach Steve Santos put an emphasis on creating more scoring opportunities as a team and the Bombardiers responded with 18 goals for the year. Salviati was one of the reasons that Attleboro became more proactive in front of goal, as she turned in a solid rookie campaign as an attacker and midfield playmaker. Salviati added a burst of pace and creativity for the Bombardiers and it opened up more scoring chances for the team and with a year under her belt the hope is that she can continue to develop into a consistent attacking weapon as Attleboro continues its push to try and get back into tournament contention. Along with her older sister Sophia (a junior midfielder), Salviati is part of a young group that has raised expectations for the Bombardiers. 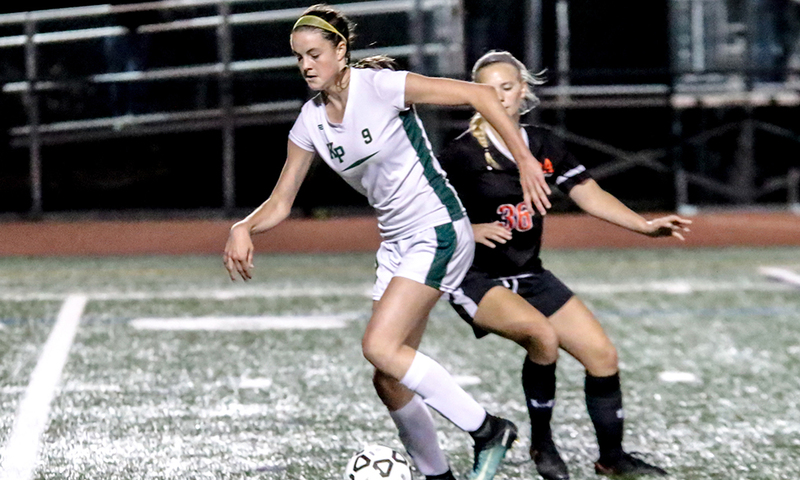 The King Philip standout, who can play up top as a striker or be dropped back into the center of the midfield, doubled her goal-scoring las spring, finding the back of the net 31 times to lead the league. Snead also led the Hock with 17 assists and 48 points, while helping the Warriors a share of their first league title since 2002 and the Div. 1 South title. The partnership between Snead, a Providence College-commit, and classmate Chloe Layne is the league’s most dynamic combination and one of the best in the state. 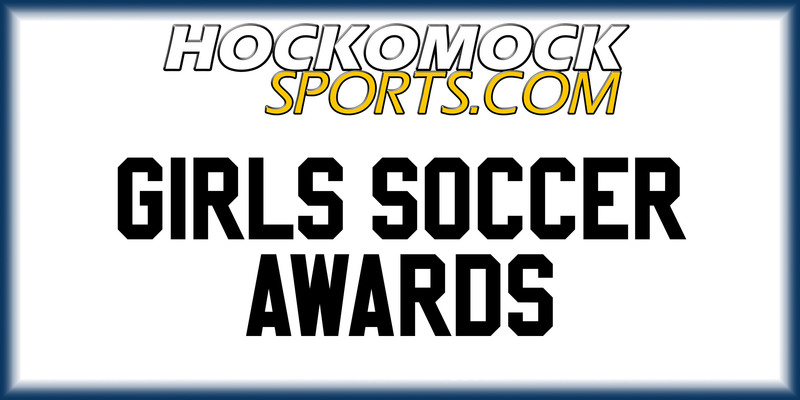 With the ability to pick out a defense-splitting pass, the size and touch to finish in the box, and the power and accuracy to score from distance, the reigning HockomockSports.com Player of the Year and league MVP is poised for an even bigger 2018, as KP goes in search of a state title. Foxboro has a young roster again this year, but Stamatos gives the Warriors much needed consistency and experience in the heart of the defense. An intelligent defender who reads the play well and has the athleticism to stay with the league’s top attackers, Stamatos is a leader for a team that has much higher expectations for this fall under second-year head coach Katie Stalcup. Even with a number of new faces, Foxboro allowed only 34 goals last year, which was tied for fifth best in the Hock and Stamatos was a main reason for that. Her ability to organize the back line keeps Foxboro solid and she can also turn defense into attack with accurate outlet passes to spring the speedy Warriors forwards into counterattacks. Mansfield owned the league’s top defense last fall, allowing only 14 goals all season, and Vigeant was at the heart of the effort to stop opposing attacks. A tall, quick central defender, Vigeant is the vocal leader at the back and can match up with the league’s top forwards. She matches her speed with quick thinking to read the play and anticipate where a pass is heading and can also lean in and win physical battles when necessary. Vigeant also chips in on the other end of the field, scoring 10 goals and providing two assists as one of the league’s top set piece specialists. With Vigeant at the back, the Hornets will try to clamp down a third straight division title.